Anchor.fm is a free iPhone app that makes it easy to broadcast short audio clips to a global audience in seconds. Your listeners can talk back, sparking instant group discussions. Once published, conversations can be shared as podcasts. 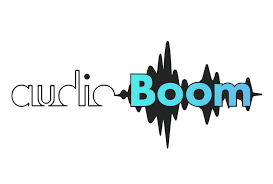 AudioBoom a public sharing audio platform. Free accounts can record up to 10 minutes per clip. You can share your clips with Twitter and Facebook. Once you’ve created a clip you can choose to embed it within your blog and play your soundfile from a mini player. SoundCloud is very similar with added functionality to customise the colour of your audio player. It also comes with sharing buttons so that viewers can post to other social sites and includes your profile photo.